Burbank, CA, April 23, 2014 – Between love, destiny and darkness comes “Winter’s Tale,” arriving onto Blu-ray Combo Pack, DVD and Digital HD on June 24 from Warner Bros. Home Entertainment and Village Roadshow Pictures. 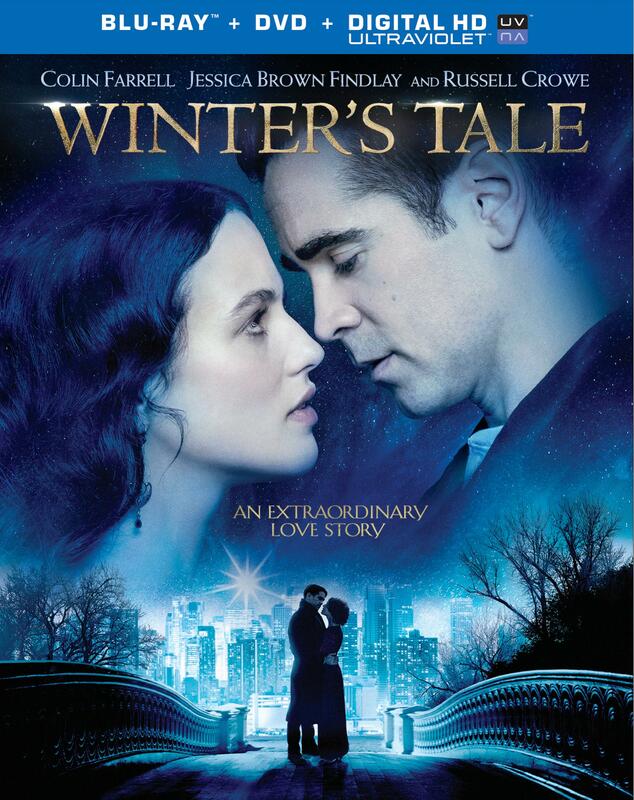 Marking the directorial debut of Academy Award®-winning screenwriter Akiva Goldsman (“A Beautiful Mind”), “Winter’s Tale” is the perfect love story. Set in a mythic New York City and spanning more than a century, “Winter’s Tale” is a story of miracles, crossed destinies and the age-old battle between good and evil. “Winter’s Tale” will be available for streaming and download to watch anywhere in high definition and standard definition on their favorite devices from select digital retailers including Amazon, CinemaNow, Flixster, iTunes, PlayStation, Target Ticket, Vudu, Xbox and others. Starting June 24, “Winter’s Tale” will also be available digitally on Video On Demand services from cable and satellite providers, and on select gaming consoles.